California Classics floors are made exclusively for the Southwest United States.Our goal is to make it affordable for you to own a wood floor that’s truly a work of hand-made art. 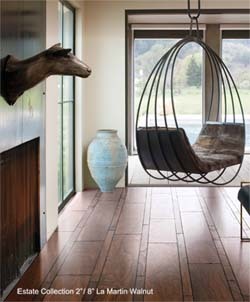 In a world of shortcuts and compromises, we produce flooring the slow, painstaking way. And it shows in every plank that leaves our facility. From the uncompromising choice of source woods, to true hand carving by skilled artisans, to an unsurpassed floor finish created especially to bring out the unique character of the wood.